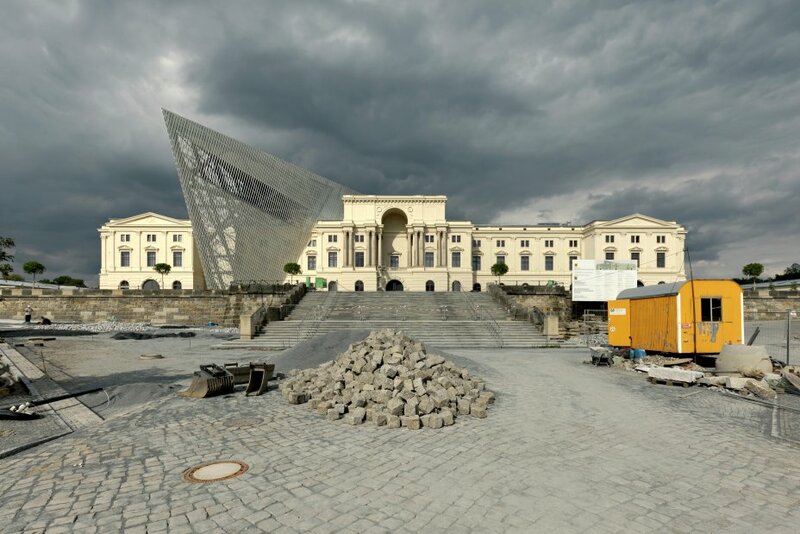 Military History Museum in Dresden, with an addition by Daniel Libeskind. "The new façade’s openness and transparency contrasts with the opacity and rigidity of the existing building. The latter represents the severity of the authoritarian past while the former reflects the openness of the democratic society in which it has been reimagined. The interplay between these perspectives forms the character of the new Military History Museum" Ouch. Daniel... please, just... shut up.